​Send us Your Images and Stories of WW1 WW2 Timepieces for our Book. ​Remember Their Legacy in Time, forever! Receiving a message for translation and analysis in Hut 3 at Bletchley Park. A Code Cracking Day at Bletchley. Bucket list ticked by visiting Bletchley Park at The Mansion, Sherwood Drive, Bletchley, Milton Keynes MK3 6EB. The home of the Codebreakers, including but certainly not limited to Alan Turing and Gordon Welchman, that contributed to shortening WW2 by up to 2 years. The entire Park is incredibly atmospheric, moving and nostalgic. ​Please see below for more pictures of our memorable visit. The gateway to the Cottages in Bletchley. ​Codebreakers, Alan Turing and Dilly Knox worked in the cottages from 1939. ​The Clock is still proudly displayed, but the clock tower shown in war-time photos is no longer in existence. 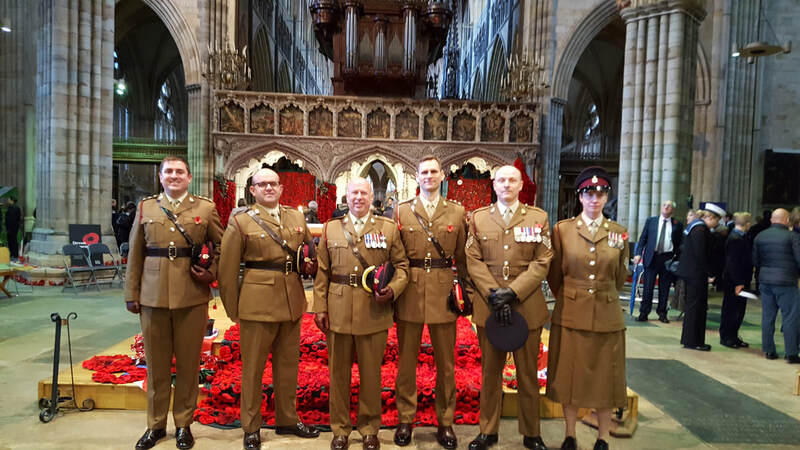 Today, at this poignant time in history, we were honoured to attend the Remembrance Day Service at Exeter Cathedral, Devon. As always, the attendance was awe inspiring but this year, there was a palpable, and overwhelming emotional spirit, as the time, and exact moment that the guns fell silent and the armistice drew near. We would like to say a huge thank you, to everyone who attended, all our armed forces, everyone at Exeter Cathedral but most of all Thank you to all those brave souls who made the ultimate sacrifice for us all. Remembrance Day at Exeter War Memorial. Going behind the big red brick wall. On 7th July 2018, we spent a wonderful evening visiting the Wyvern Barracks in Exeter, Devon. We were treated to an evening of music, singing and history, primarily the history of the barracks itself, and the role it played since WW1 to date. The barracks is home to the reservist battalion '6 Rifles', and the station commander Lt Col Jon Penhale, came up with the idea to invite the public behind the imposing big red brick wall, to break down the figurative barrier between the army, and the rest of us, who have wondered what actually goes on there. Part of the evening focussed on the First World War battle of Bois des Buttes, part of the Aisne offensive in May 1918, in which - what was then the 2nd Battalion the Devonshire Regiment - played a vital, and well-recognised, role. The concert then moved on to the regiment's Second World War service and its other activities up to the present day, which include front-line deployments to the battlefields of Iraq and Afghanistan. It also portrayed the evolution of 6 Rifles, through the amalgamation of the Devon and Dorset regiments in 1958, and the creation of the large Rifles regiment through a further merger in 2007. 6 Rifles is The Rifles' Reserve Infantry Battalion of the South West. The Army Cadet Force band, Wyvern Barracks' own Salamanca Band and Bugles (seen above), and the Isca Academy choir gave rousing performances. We also had a good old sing-along to old favourites such as ‘Pack up your Troubles' and ‘It's a long way to Tipperary'. A great and stirringly traditional evening had by all. 'It is Vital to give each Shroud a Moment in Time'. A strange mixture of sadness and an overwhelming sense of loss were some of the initial emotions felt visiting Rob Heard's 'Shrouds of The Somme' and his 'Trench' art installation, which has made a welcome return to Exeter after 2 years. Cathy and I regrettably missed Rob's painstakingly brilliant work of art when it made its first appearance in Northernhay Gardens in Exeter, Devon England back in 2016. When we heard it was to return, we wasted no time visiting. Below is an image of a 2.3m high free-standing wooden trench designed by Shrouds artist Rob Heard in which the tens of thousands of Shrouds will be stacked. 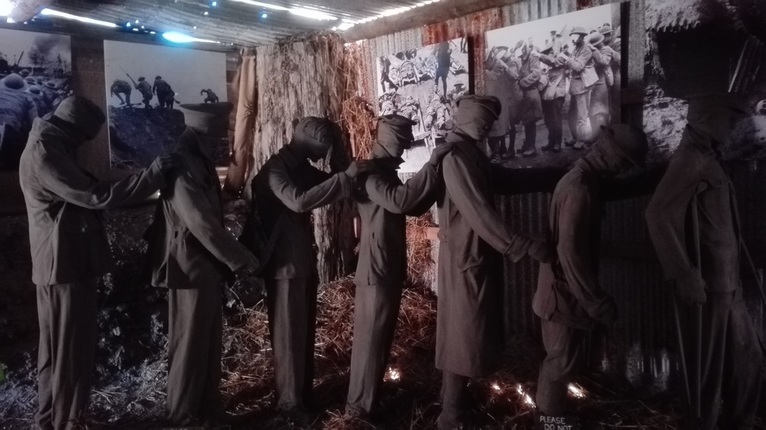 Visitors walking through will experience the immersive nature of this installation; it will generate incredibly powerful emotions, giving them a graphic sense of both being in a trench and what the large numbers of those killed really means. The names of those represented are displayed on the outside wall of The Trench. ​Cathy was privileged and delighted to meet Rob Heard the artist at Northernhay, and he was kind enough to let us exhibit his fabulous work in our website. Each shrouded figure represents a British serviceman killed at the Somme who has no known grave, many of whose bodies were never recovered from the battlefields. Rob told us; 'imagine in 100 years time, our names will not be read out in a roll of honour - time will forget us...but each of those brave soldiers left their legacy for us'. Below are some of the wonderful volunteers providing their invaluable help with the installation. The memorial in Rougemont Park to the fallen of WW1 can also be seen below. 3 brilliant volunteers that we met at Rougemont Park, Exeter. 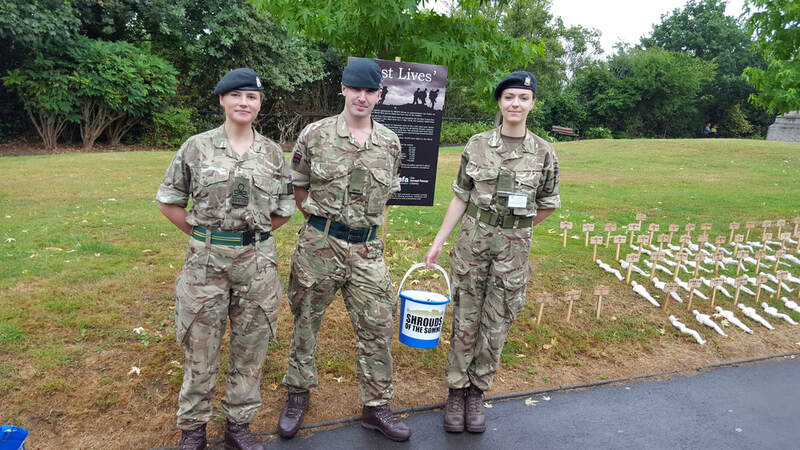 Left to right; Officer Cadet Webb, Rifleman Cadet Fry and Officer Cadet Walker Great job. Thank you Rob, for your brilliant work and being kind enough to spend some of your day with us. They say everything stops for tea - except the War effort. Well, after a hard day's holidaying in mid June, we unexpectedly stumbled across 'The Victory Emporium and Tea Rooms' in Seaton, Devon, England..
Sue (pictured above) and Mark run this very nostalgic venue with an enthusiasm - and knowledge about WW2 - that was as refreshing as the cup of tea and snacks that they provided! They were so welcoming and even stayed open later just for us. Sue and Mark frequently receive visitors that relate fascinating and real life stories of their encounters during WW2. This is a must visit venue if you are in the area, and is most definitely a destination address. 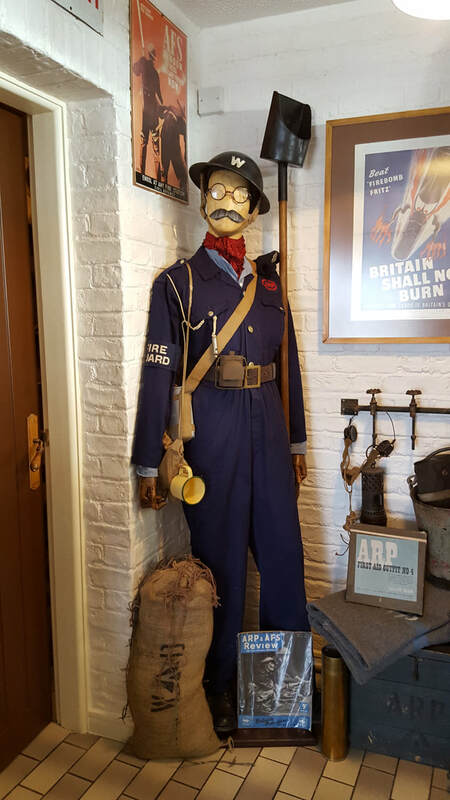 Some of the intriguing exhibits to be found in the Victory Emporium Tea Rooms in Seaton, Devon, England. Remembering our Heroes at Exeter Cathedral, Sunday 12th November 2017. ​Last Remembrance Sunday, Steve and I attended a moving but very uplifting commemoration service at Exeter Cathedral. ​Above, you can see members of the Royal Army Medical Corps, who were kind enough to take the time to remember along with us. 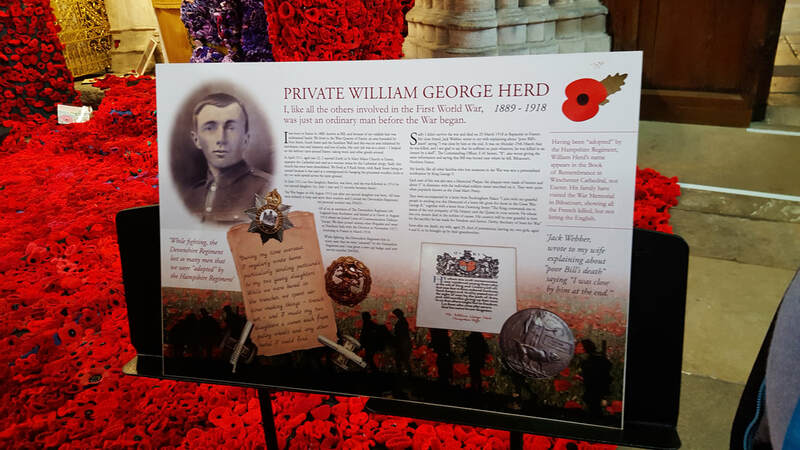 ​The Cathedral was filled with 34,000 poppies, each one representing a life taken during WW1, from Devon, Dorset, Somerset and Cornwall. Originally, it was to be only Devon that was represented in this way, but huge demand meant that all counties from the south west of England should be included. ​I was lucky enough to have been treated by my Brother Rol for a day at the iconic Wimbledon Lawn Tennis Club on Thursday 6th July 2017, for my...50th Birthday. ​It turned out to be the hottest day on record during the Federer match, topping 43c, giving Death Valley in America a run for its money! 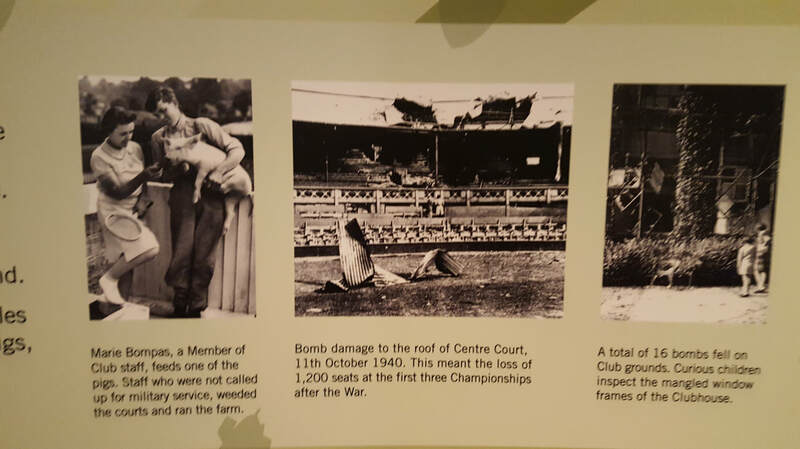 ​We visited the museum during the games of the day, and discovered some fascinating war-time facts about the tennis club. Cathy. Even before the outbreak of the Second World War, wartime preparations were in full swing at the All England Club. On 31st August 1939, nursing sisters, the red cross and the St. John Ambulance moved in to the All England Tennis Club. The Fire Service, ARP and Civil Defence took up residence. Outside the clubhouse, the London Irish and the First Battalion of the Welsh Guards used the main concourse as a parade ground! The car parks were ploughed up for vegetables, and a farmyard established. There were chicken, rabbits, geese, and even a donkey. images courtesy of The Wimbledon Museum. ​Despite the threat of war in the summer of 1939, the tournament took place as usual. Little was it known at the time that six years would pass until The Championships once again took centre stage at the All England Club. ‘It was when I first heard the metallic tramp of heavy feet in Army boots marching outside the All England Club and echoing on the floor of the members’ tea room, that I really realised that Wimbledon had gone to war’. ​Although the Club remained open, The Championships was suspended for the duration of the war. ​Here are just a few of the beautifully crafted examples of timepieces and tennis memorabila from the Wimbledon Museum. The image above shows a very curious tennis partner! The Armed Forces have always played an invaluable part of the help, support and security during Wimbledon fortnight. ​Continuing my visit to London, a trip to the Tower of London was of course necessary. "The prisoner [Carl Lody executed 6 November 1914] walked steadily, stiffly upright, and yet as easily and unconcerned as though he were going to a tea party, instead of to his death. "The procession disappeared through the doorway of the sinister shed and shortly after came the muddled sound of a single volley - Carl Lody had paid!" In November 1914, Carl Lody became the first person for more than 150 years to be executed in the Tower of London. He was one of 11 German spies who faced a firing squad at the famous London landmark during World War One. This remarkably emotive image is of the sculpture 'Silent Memories' by Johanna Domke-Guyot. We recently visited a little village in Dorset, a place called Tyneham. It was one of the most evocative and stirring places we have seen on our travels. '... 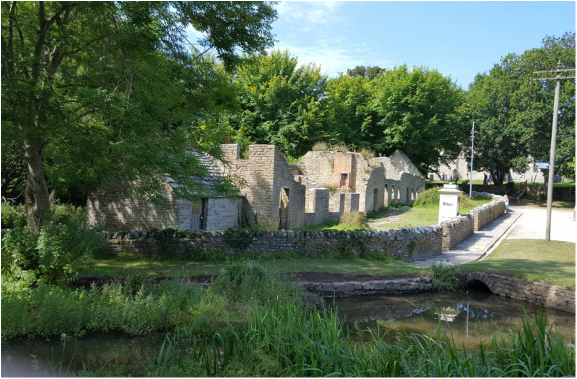 The village of Tyneham has been deserted for over 60 years. Before that it was an idyllic countryside village, located only a couple of miles from the sea and the delightfully picturesque Worbarrow Bay. It had it’s own church, school, rectory, several farms and lots of cottages. It’s most prominent building was the grand mansion house called Tyneham House, or the Great House as it was also known. Life for the villagers was idyllic and simple. Like many places in that era, there was no electricity or running water. However it was still a lovely place to live, free from the trouble and strife of the outside world. So what happened to this quaint little village? Why did it’s inhabitants decide to leave? Well, the villagers didn’t want to leave. After all who would want to leave such lovely homes in such a quiet and peaceful part of the Dorset countryside.. Unfortunately, the onset of World War 2 changed the lives of many people all around the world. On Christmas Eve 1943, the residents of Tyneham were about to join the millions whose lives would be turned upside down by the war. Due to it’s proximity to the Lulworth firing ranges, the government decided to claim Tyneham village and much of it’s surrounding land as a place to train the allied forces. The villagers were told they must temporarily leave their homes for the greater good. Once the war was over, they would be allowed to return to their homes and continues on with their lives. As they packed up their belongings and left they pinned a note to the door of the village church which asked whomever took over the village to treat it with care...they expected to return one day, and thanked the reader for treating the village kindly. However, until now, despite a number of high profile campaigns, the original residents have never been allowed to return to their homes. As only a small handful of the evacuees are still alive to this day, it remains unlikely that the government will release the village. The Tyneham school house clock. We are uncertain if it records the very time the villagers abandoned the village but the mood within the schoolroom was quite chilling. WW1 'Padre' Neil at the Dorset Steam Fair, interrupting his cup of char to talk about his interest in WW1 and how it came about. He was also only too happy to discuss our forthcoming book. Time For Tea Vicar ! ​Cathy and I visited the Dorset Steam Fair on 26 August 2016, and found ourselves in the trenches...along with 'Padre' Neil here. ​We also discussed our forthcoming book and he was very helpful, informing us that he would be only too willing to contribute anything 'time' related that he could! PLEASE SEE OUR SHOUT OUT BELOW! We also met up with the charming Jane, of the Western Front Association @TheWFA who was dressed in period uniform for the occasion. Jane has been running and supporting the Association for over 30 years. We are now aiming to have our first book published later in 2018, and ​We still need your help! Unbelievably, our website, has been up and running for some 4 years already . Now, we are looking for your contributions of images of timepieces that belonged to your Dad, Grandfather, Mum, Grandmother, or anyone that served with the armed forces during World War One, World War Two, and any other conflict, to be included within our forthcoming book. All we need is a picture of the Watch or Clock or any other scientific instrument connected with WW1, WW2 - or any other conflict - that they owned, plus any information you may have, and we will honour them by including an image in our book. We will also put a picture of your loved one in the book as well, if you wish us to. You might be the one chosen for the Front Cover! If you would like to contribute, and remember a loved one in our book, and help preserve their legacy in Time, please contact us on Twitter @PrimeTimeExeter or Steve, at stevemac57@btinternet.com or Cathy at cathymc67@btinternet.com with a copy of the timepiece image and a brief story. Indeed, please also let us know if you are interested in purchasing a copy? We very much look forward to hearing from you, and receiving your contributions. Thanks. 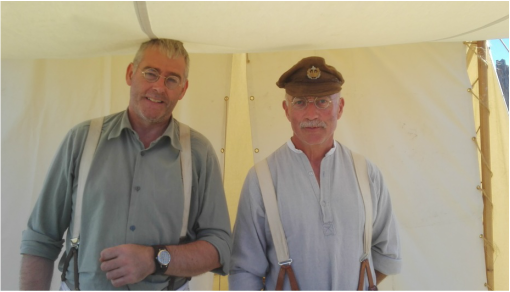 More images of the WW1 reconstruction that took place at the Dorset Steam Fair. Apologies to the 2 dashing chaps here...didn't get the time to catch their names, they were so busy cooking up the rations. © 2013 timeforremembrance.com & PrimeTime of Exeter Ltd, Exeter, England. All content within this site is All Rights Reserved by PrimeTime of Exeter Ltd & timeforremembrance.com unless otherwise stated via credit and or acknowledgement. Permission must be sought from PrimeTime of Exeter Ltd should you wish to copy or use any content so stated herein.